Los Angeles Times Book Prize-winner Alice Greenway's new novel is a story of lost love, wartime, and rebirth, inspired by the career of her grandfather--noted ornithologist Jim Greenway--set on islands in Maine and the Solomons. Jim Kennoway was once an esteemed member of the ornithology department at the Museum of Natural History in New York, collecting and skinning birds as specimens. Slowing down from a hard-lived life and a recent leg amputation, Jim retreats to an island in Maine: to drink, smoke, and to be left alone. There, he thinks back to his youth, working for Naval Intelligence during World War II in the Solomon Islands. While spying on Japanese shipping from behind enemy lines, Jim befriended Tosca, a young islander who worked with him as a scout. Now, thirty years later, Tosca has sent his daughter Cadillac to stay with Jim in the weeks before she begins premedical studies at Yale. She arrives to Jim's consternation, yet she will capture his heart and the hearts of everyone she meets, irrevocably changing their lives. 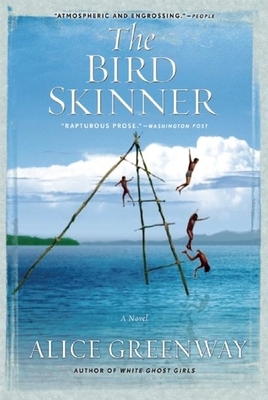 Written in lush, lyrical prose--rich in island detail, redolent of Maine in summer and of the Pacific--The Bird Skinner is wise and wrenching, an unforgettable masterwork from an extraordinarily skillful novelist. Alice Greenway divides her time between the United States and Britain. Her first novel White Ghost Girls, set in Hong Kong in the 1960s, won the Los Angeles Times Art Seidenbaum Award For First Fiction and was on the Orange Prize longlist. She currently lives in Scotland.